One day In Vanuatu, a friend's versatile kitten, Baby Woody, jumped into our saucepan. What constitutes versatility in your opinion? Thanks to Geni of Sweet and Crumby for bestowing a “Versatile Blogger Award” on my site. The award also makes me want to consider the meaning of “versatility”. I am grateful to Geni for the recognition of versatility – not to mention, an intriguing coincidence, as I was referring to her Chocolate-Malt Cake on the same day as she was doing her post in which she gave this award to me. 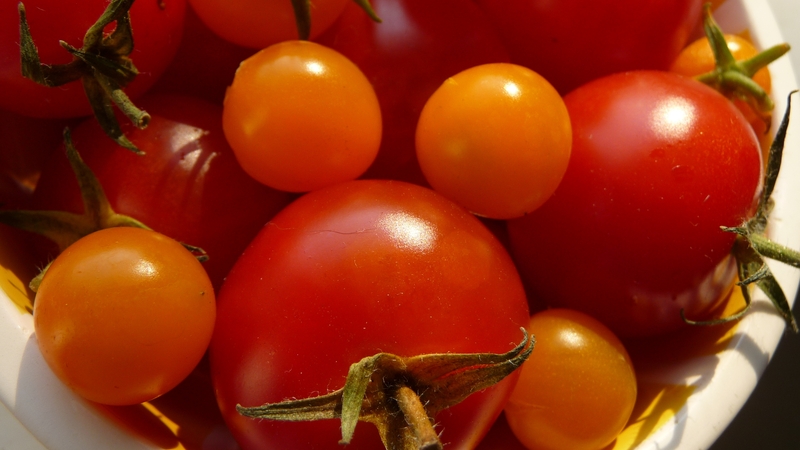 Harvested from our deck, tomatoes are wonderfully versatile. One of the conditions is that I create a list of 10 things I like and pass it on to 10 other bloggers. While the award (like the Sunshine Award I received from Ewa of Delishhh this spring) makes me think of chain letters of yore, I do think it is nice to recognize other bloggers. 10. Travel. I have been to Africa, Asia, Australia/Oceania, Europe, Latin America, and North America (48 of 50 US states and all Canadian provinces except Manitoba). Many of the more far-flung destinations were with work. On this list, I have been to a total of 41 countries, of which I have lived in four. I view food as the essence of culture and enjoy exploring other cuisines, markets, and approaches to food while visiting any place, be it near or far. 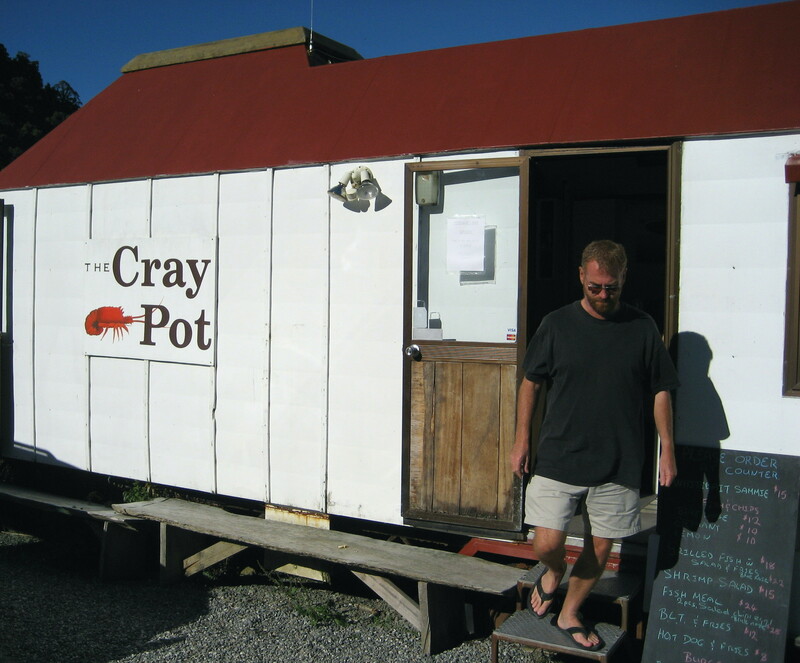 Fresh fish is featured at the Cray Pot, Jackson Bay, New Zealand. 9. Islands. While “no man is an island”, no island is a man, except, of course, for the Isle of Man. I am fascinated with islands…so fascinated that I live on one. My travels have taken me to 51 islands (not counting Iceland, Japan, England, Australia, or the two principal islands of New Zealand). 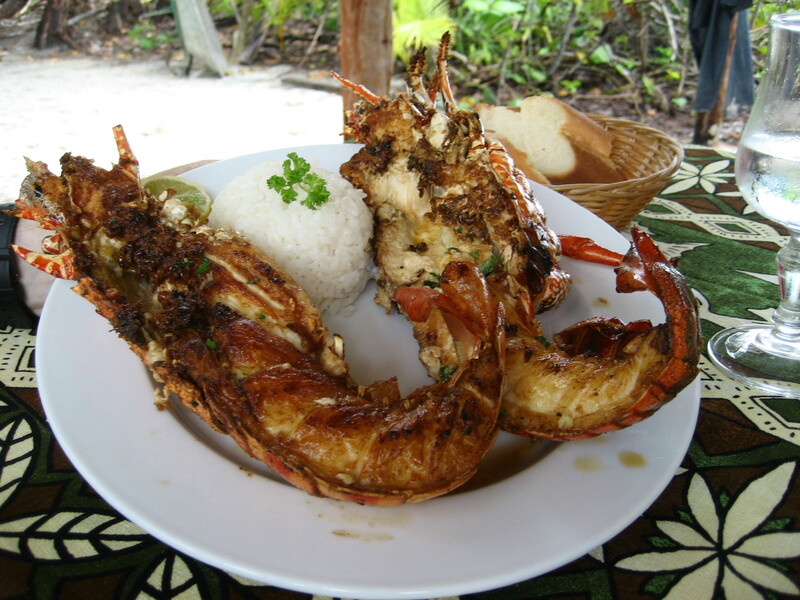 Lobster is the only choice for lunch on the beach, Ile des Pins, New Caledonia. Island cuisine often involves seafood and home-made things – hooray! – as well as lots of quirkiness, which can be hooray or not-so-hooray, if you catchy my islandy drift…. 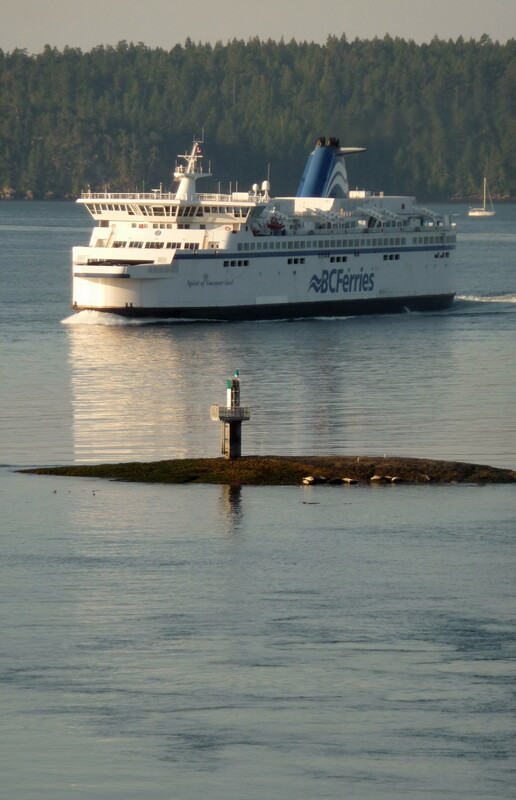 Viewed from our deck, a ferry passes by a seal-haulout and lighthouse. 8. Writing. Not all bloggers like to write, I am convinced. Yet writing is the main reason I have chosen to create my blog. (This is my list, so I expand this too include reading, as it is essential to read extensively to write – whether in-print or online, books or newspapers, fiction or non-fiction). Food-writing captures the most primal connection to food, from earliest memories to great sensory experiences. Writing about food helps us to understand ourselves and others. 7. Language and languages. I enjoy studying and playing with language. Formally, I have studied five languages, speaking one fluently and two well but not fluent as a native speaker. Language is obviously essential for recipes, development of technique, and the evolution of cuisine. 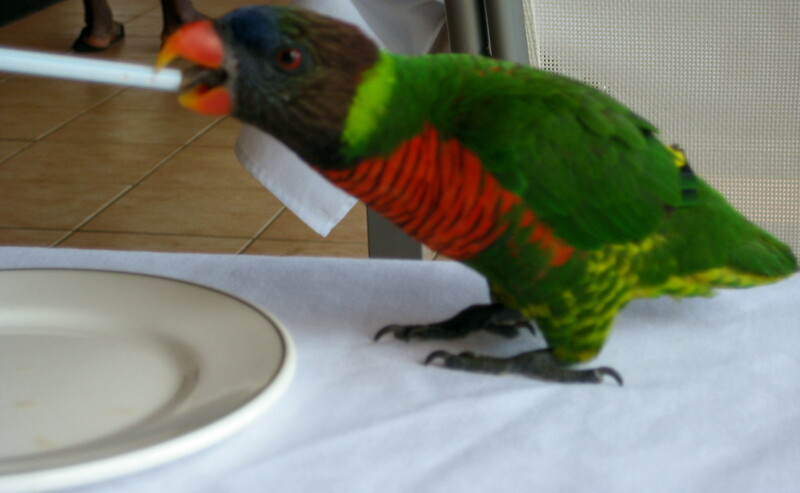 A guest joined us for lunch in a restaurant, while volunteering in Vanuatu. 6. Volunteerism. My entire career – as professional work, that is – has focused on the voluntary, charitable, independent, or not-for-profit sector, and I have volunteered extensively since the age of 12. My latest role, which I have just accepted, is Chair, Canada, Alumni Schools Committee, University of Chicago. I have worked in senior management and/or served on boards of organizations providing home-cooked meals to people with life-threatening illness (including some meals-on-wheels), food banks, sustainable organic agricultural development, food security, and training youth-at-risk for careers in the food industry. 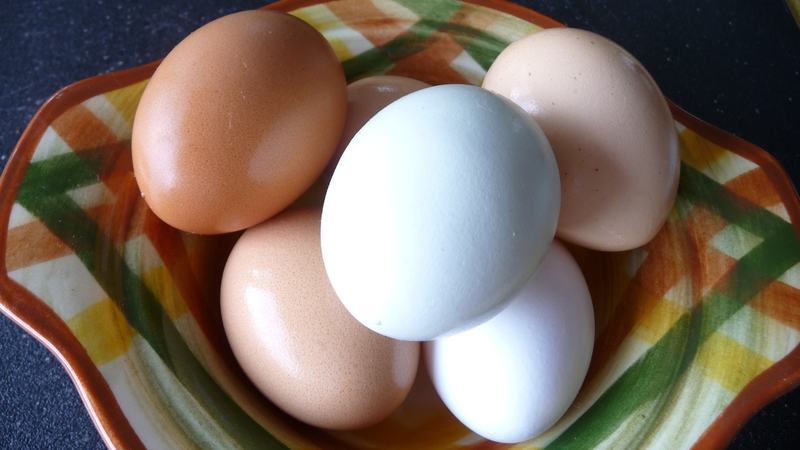 One of the most versatile foods, free-range eggs rest in a vintage bowl. 5 . Vintage stuff – collecting thereof. From some posts in the past, you will see a few examples of vintage and antique china, some family heirlooms, other from garage sales, flea markets, and antique shops. Vintage housewares and kitchen utensils can be more fun, cheaper, and better than new things for preparing and serving food. 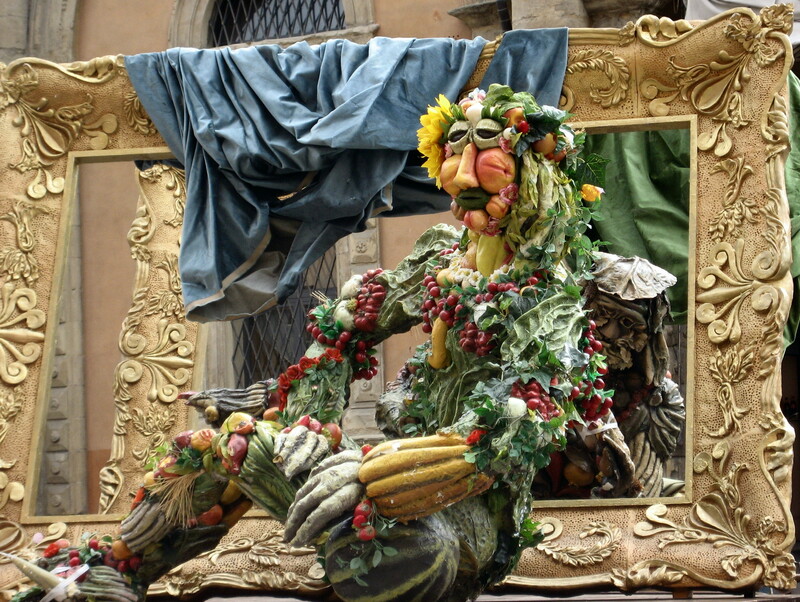 Food IS art in Bologna's Piazza Maggiore. 4. Museums – especially art. Particularly when traveling, I like visiting museums. However, a certain travel companion might say that five in one day in Vienna or six on a Sunday in Bologna could be considered over-kill…some of them were very small and took little time, OK?. The connection is a bit more tenuous, other than food as a subject of art, food-related museums, or cafés in museums, all of which interest me. 3. 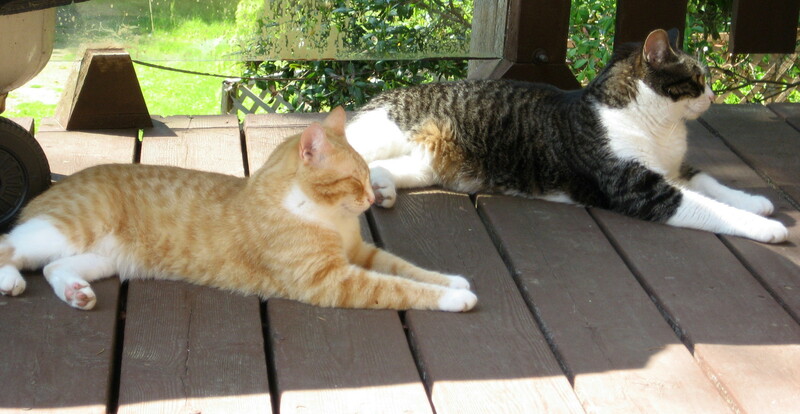 Cats and dogs (and other domestic creatures, not to mention all wildlife). 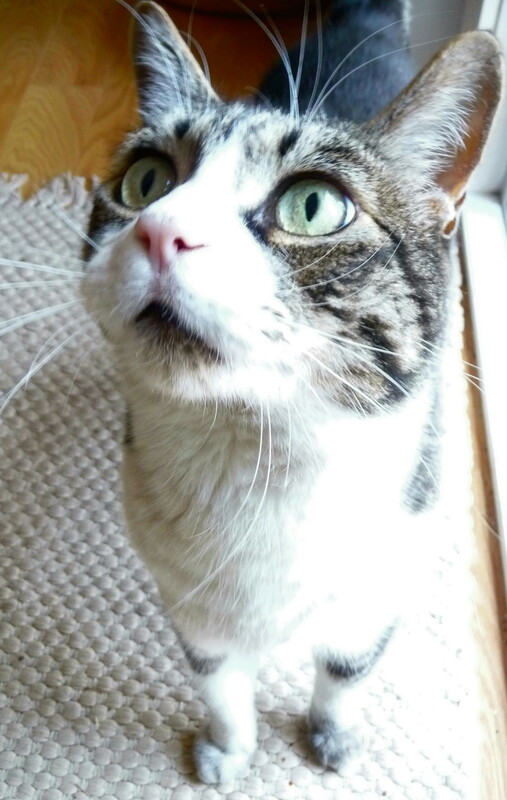 OK, these are not “things”, in my book, but I am an equal-opportunity pet person, as I will not take sides in this futile debate – nor will I choose to take a stand in the cake v. pie battle. Do not try to force me or tell me that I am wishy-washy, either! Again, this is a stretch, but cats keep rodents out of one’s house (and we all know that a rat in the house may eat the ice cream, or, at least, teach you how to spell “arithmetic”), and dogs can help in hunting, as much as I really do not want to go there. George's paws are dirty from rooting out rodents, no doubt. 2. Baking. This should be apparent from the majority of my posts, which are baked goods. But, like the cooking v. baking dichotomy, I enjoy both but know baking better and focus more on this as a broad discipline. 1. Lists. Is it not obvious by now that I like lists? Lists are essential for grocery shopping, ingredients for recipes, and enumerating all the restaurants, cuisines, or dishes you might want to try. I decided to create criteria for passing this award on to others. First, I wanted to give it to people who have food-blogs, which are less than one-year old. Second, I decided to expand versatility to encompass a wide-range of cuisines, or insight into many facets of that person’s life or hilarity in food-writing. Third, this is all subjective, so what do the criteria mean ultimately? These are food blogs that I enjoy and believe are worth exploring for certain reasons I will discuss. a little ginger Maddie and I have several odd coincidences and similarities in our lives, not the least of which is that she is a “little ginger” and one of our cats is little and named “Jinja”, Bislama for ginger. But her writing, insights, and elegant blog are noteworthy, with her always engaging, eloquent, and versatile posts. French Press Memos The hilarity of the Aspen Food Conference post alone makes Andra’s site worthwhile, but her real versatility is how she maintains impeccable manicures, works as a lawyer, and manages to do as many posts as she does, with a young child, too! I Am A Feeder Jackie’s site is creative in its range of topics, and she often makes me laugh with her use of language (and not because it’s British, either!). Not to mention the fact that we have become blog-buddies and work-travel consultants on-line, too. MyHungryTum The concept of preparing national dishes of 100+ countries is ambitious, and, yes, indicative of versatility. Besides, Eric’s approach is meticulous, ambitious, and creative (I still chuckle at poutine being Canada’s national dish). Peanut Butter Boy Nick is very funny, as his blog’s name would suggest. How many people would have a caption of a photo calling himself, a “giant”, and his much-shorter girlfriend, a “smurf”? However, his versatility goes well beyond peanut-butter-centric dishes – carne asada tacos, anyone? Ravenous Rowie From a neighbouring island, Rowie manages to bake professionally (at a nice little bakery I visited several years ago) and create a charming blog, which captures island life well. I think all this indicates that she is very versatile, too. Tramplingrose Rachel taught me the terms, “SoDak” and “NoDak” – who knew the Dakotas rival northern and southern California in their terminology? From recipes to 1980s music (the only reference to ska I have seen among food blogs) to grocery shopping, this site is versatile in giving a flavour for Rachel’s life in Brookings, SoDak. Vintage Sugarcube Unlike any other food blog out there I have found, this site incorporates vintage fashion, kitschy recipes, hilarious scenarios, and SoCal – but not SoDak – life in a fresh manner. Ohio has not produced anything cooler than Jenny since the Ericafon (see list item #5, above – I actually still use one of these). From Emily Post to the Marquis de Sade, fishnet stockings to 1960s glam, and muscle dudes to skater boyz, one never knows what to expect from Jenny…how is that for versatility? 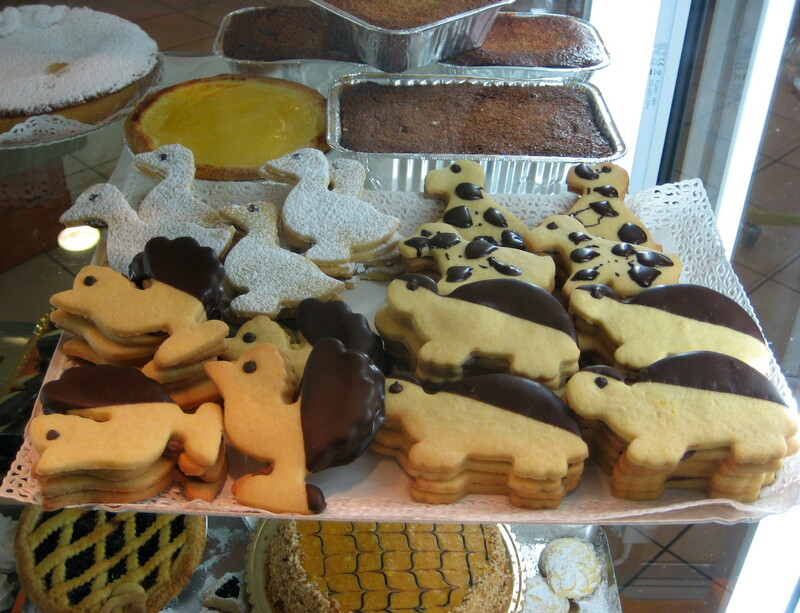 Versatility is evident, at a bakery in Bologna. 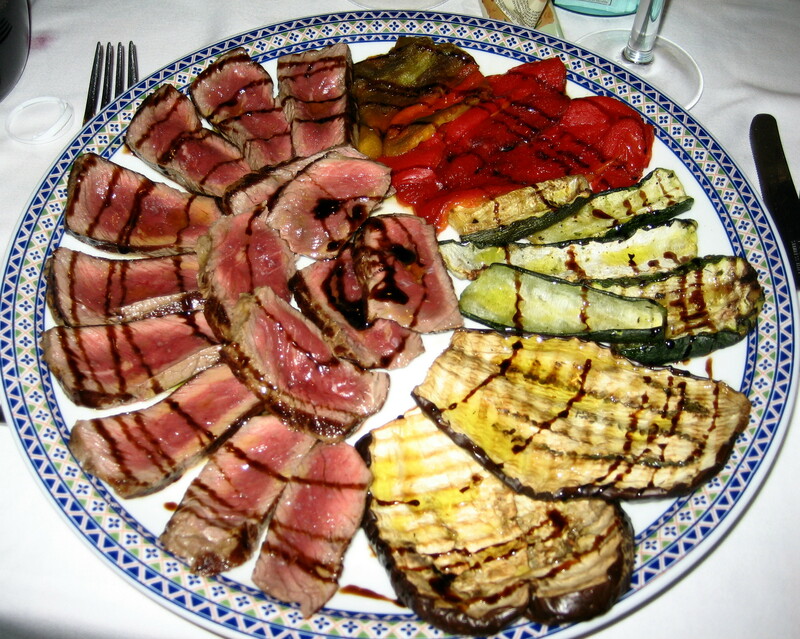 This entry was posted in Awards, Blogs and Food Writing and tagged Award, food blogs, lists, travel, writing. Bookmark the permalink. Dan u have made my day. In fact falling into a long line of ailments this year, I am fighting an eye condition which has also proved very versatile in its ability to both pain and irritate me. So the award was a little “sugar” to sweeten my day. On a side note, see comments from the last week or so on the Poutine national dish entry. The French Canadian gent made me chuckle. Cheers to you and yours and the kitten in the pan is adorable…. Hi, Eric. I hope you are all better very soon, so you can continue to cook your way around the world. It’s such a fun endeavour! Jax, you are too kind, and I have to say all those things back “atcha”, as the Canadian/American slang goes. But you are well deserving of recognition for your versatility and your promising future!!! I can’t wait to check out your list of Versatile Bloggers. Thanks for joining in the merriment. I always enjoy reading your blog. 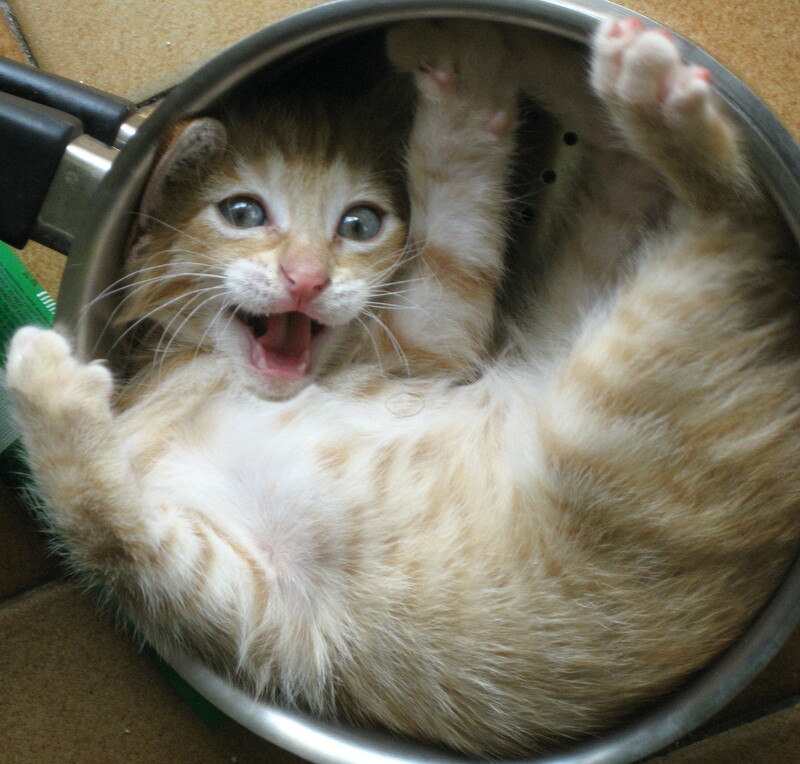 Absolutely adore the kitty in the pot picture. My husband and actually said, “Oooh and Ahhh” to your tomato photo. No, thank you, Geni, for the award and the compliments! You gave me the chance to use all sorts of pictures which don’t fit in others posts, including the best cat picture I’ve taken (cat-sitting Woody in Vanuatu – how bizarre is that?). LOVE that picture of the kitten. So cute. Also nice to read about you and also introduction to other bloggers. Great post! Dear IE: Evan & I just put Jessie’s shortbread cookie dough (YumYum:-) in the fridge. Tomorrow, we’re going to bake and bring to Natalie! xoxF. P.S. Love ALL your pix…N&I (I was @their wedding); J&L; F&S; &of course — the Coconuts!!! What a delightful post. It’s so nice to know more about the bloggers who share their love of anything culinary. So nice to meet you….again! PS: The lobster shot made me drool. I love going to art museums as well, but I’ll have to agree with your friend, 5 museums in a day is a bit too much. I tend to linger and savor the details of a painting, photo or whatever is being exhibited because I want to remember them. Most of the time, I always make it a rule to go to art museums by myself because the person I’m with will end up bored out of his/her mind since I study a piece for a good 45-50 minutes (no exaggeration here).